Okay, I am so out, really outdated type. My friends asked if I know about the Gangnam Style which was really a hit lately?! 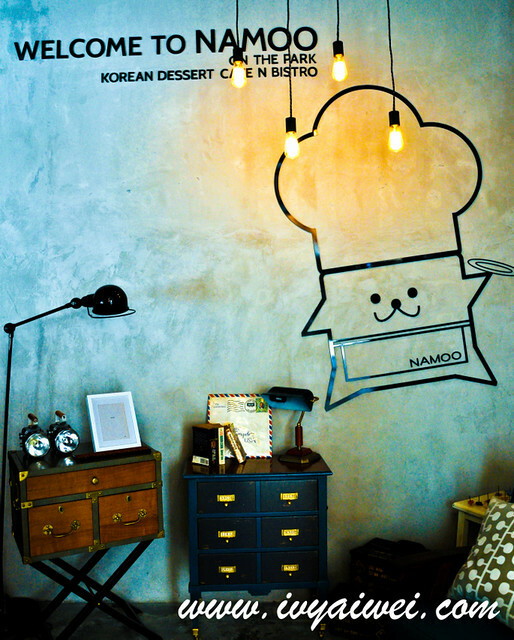 Under the influences of K-pop culture, Namoo on the park is nowadays hot topic too, I guess?! Cute little mascot chef on the wall; the café was decorated in a very vintage-y way. 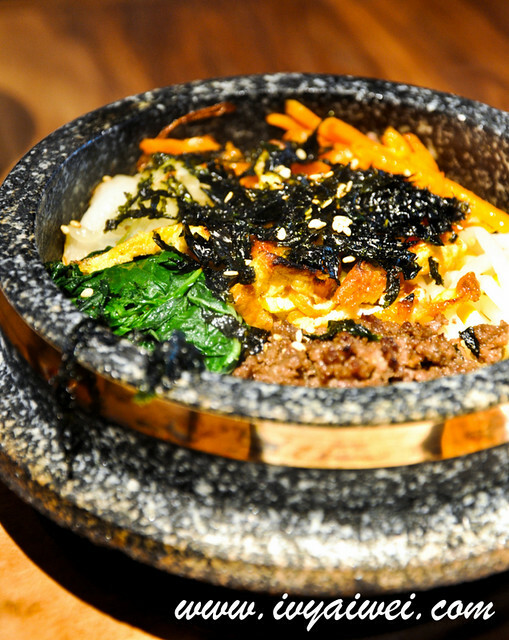 This cute little café was founded on the belief that, good food should be fresh, natural and timeless; serving the authentic Korean dishes but fused with a modern twist. 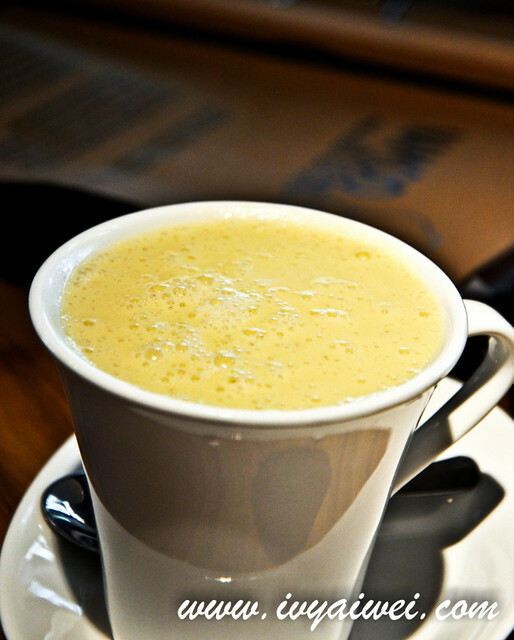 Interesting blend of sweet potato and warm frothy milk; worth a try! Never say I din warn you, this cup of latte was very very very filling. 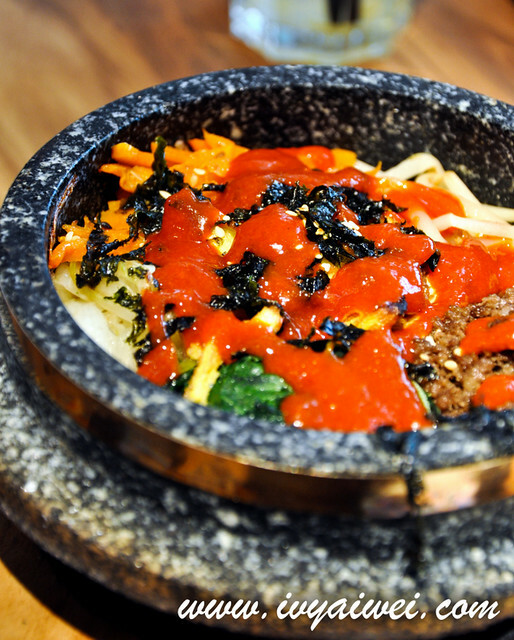 Mixed vegetables and rice served with Korean chilli sauce on the side. Pleasant presentation with colourful vegetables, sadly, it was very bland, and the chilli sauce wasn’t that fragrant at all. 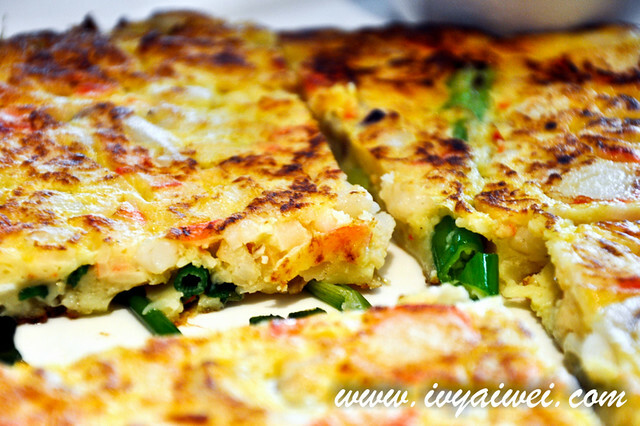 Korean style pancake with seafood and spring onions. 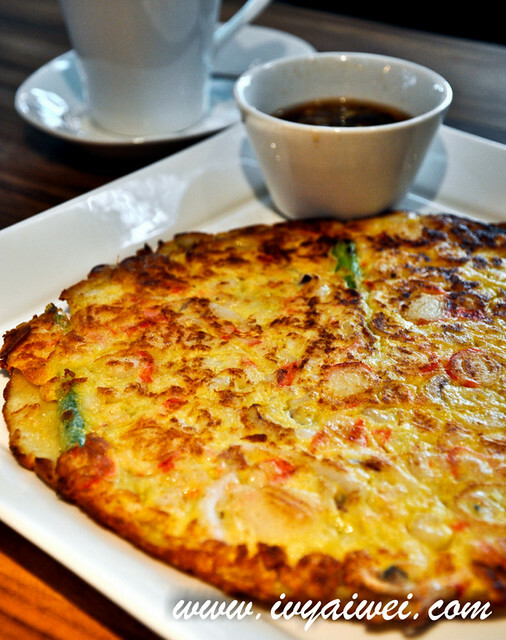 The texture was good. However, it was lack of ingredients. 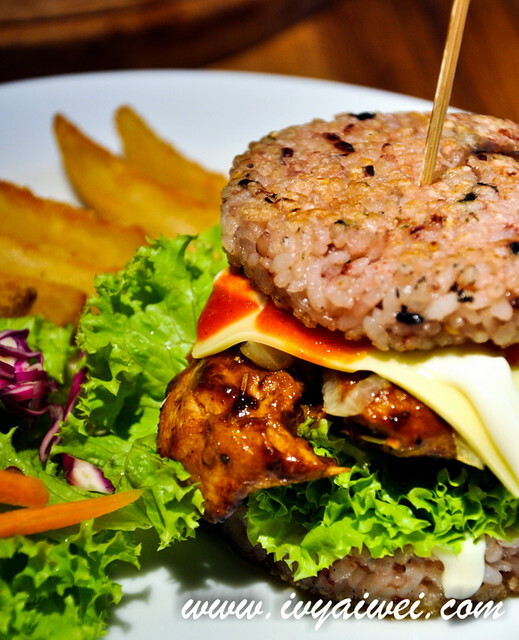 With grilled chicken breast, cheese, fresh greens, mayonnaise and bibi sauce sandwiched in between the handmade grilled rice bun that was lightly salted with seaweed taste. 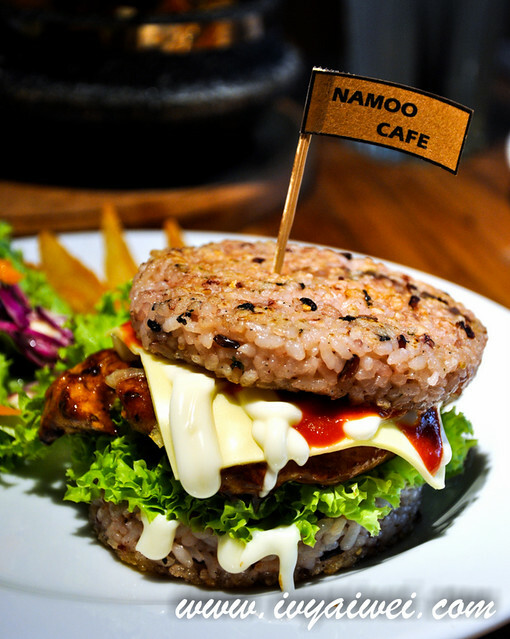 I first came across rice burger was from MOS burger (in Singapore), but now we could now enjoy the lovely rice burger here in KL at Namoo. However, I still prefer the one from MOS burger. 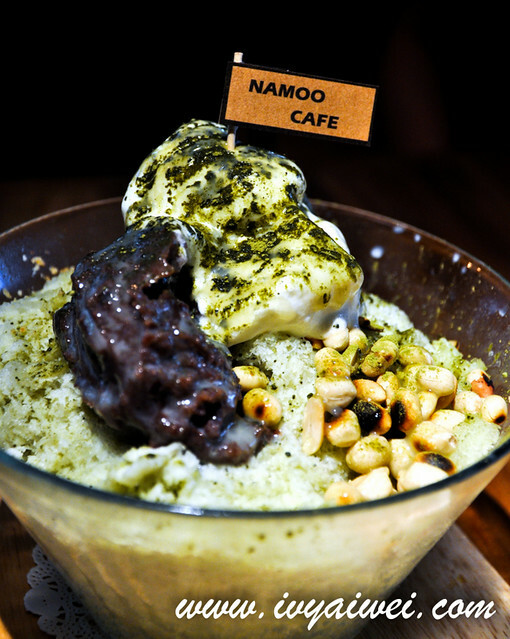 Generous serving of shaved ice (choice of milk tea or green tea) with rice cakes, red beans and ice cream sprinkled with multi-grain powder. 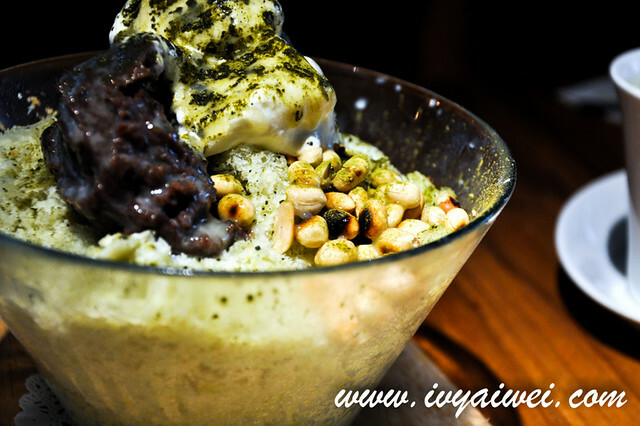 Shaved ice was rich with fragrant green tea; with red beans and ice cream, the whole combination was not sweet too. 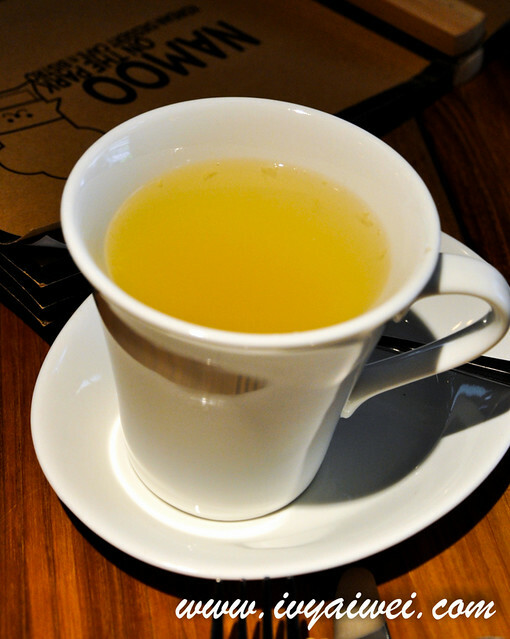 We can’t agree to have more of this! 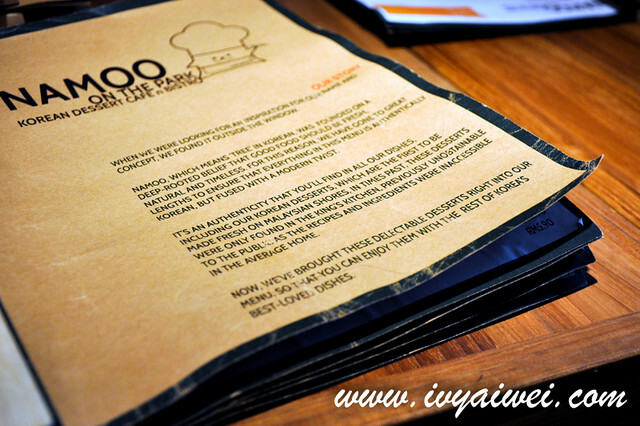 Verdict: Namoo is a lovely hang out place with friends and family. I would make returns; however, I will only drop by for their desserts and beverages. 1 Jalan Dutamas, 50480 Kuala Lumpur. Next time I need to go back and try the desserts. never try their dessert, last time visited try their food only but the taste is so so only. yea, i agreed with you. their food really so so so so only. sigh. glad that the dessert saved the meal!